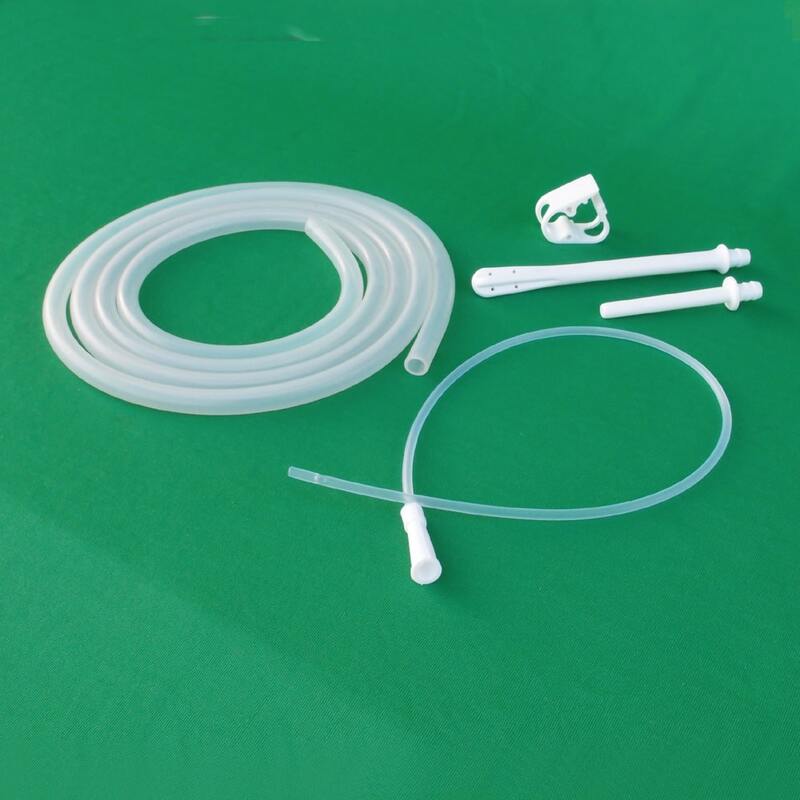 Stainless Enema Kit with Silicone Tubings – Wholesale Anema Kit - Soulgenie '); $(".urlwrite", table).html('' + customer.find("title").text() + ''); $(".reviewcount", table).html(customer.find("reviewcount").text()); $(".rating", table).html(' '); $(".userrating", table).html('UserRating'); $(".btnofprod", table).html('Go To Product'); $("#dvCustomers").append(table).append("
149 User Ratings (Write a Review) [?] Cumulated over ratings from wholesale and retail customers. Enema the best and natural method to clean the colon, for body detoxification and managing constipation. 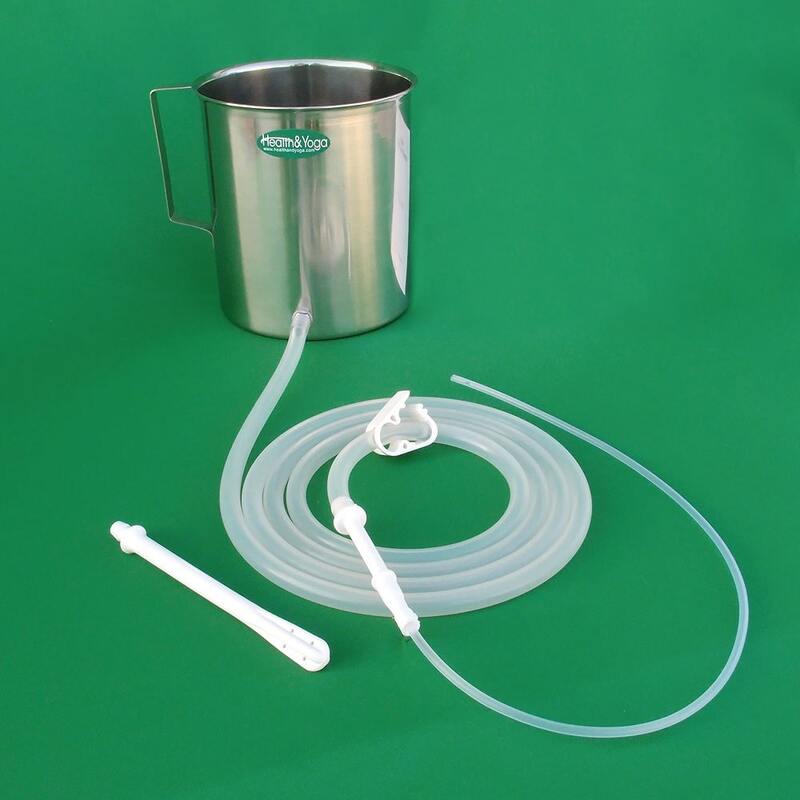 The H&Y Superior Home Enema Kit is designed with extra care to make enema an easy and a delightful experience. 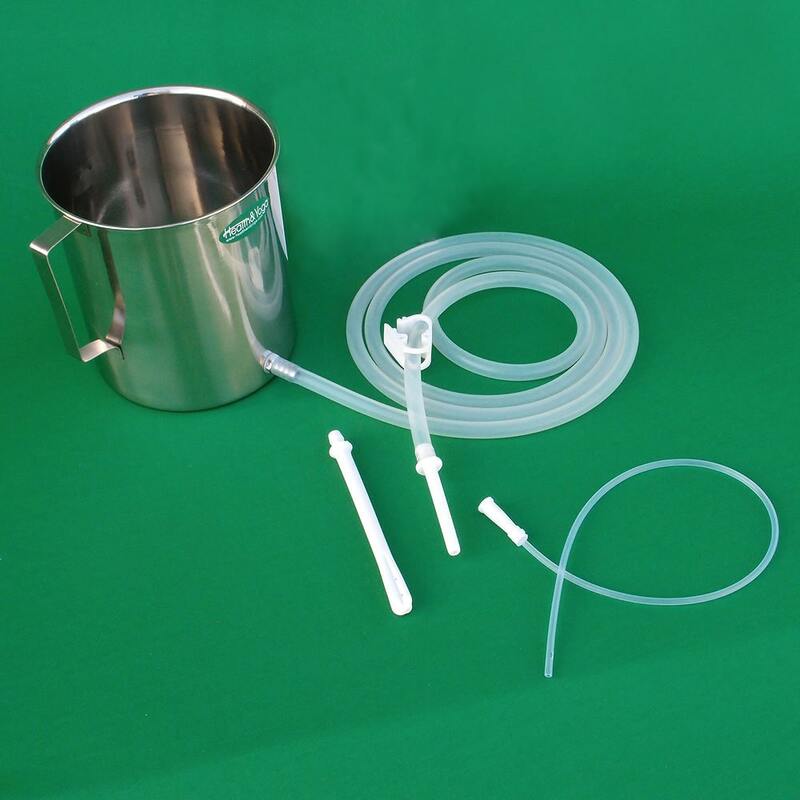 The complete kit comprises of several components such as the clinically hygienic stainless steel bucket or can that is sufficiently large to hold at least 2 quotes or liters of water. This kit is extremely easy to use and clean. It also has an enema nozzle, medical graded Colon Tubes and clamp. The kit is latex-free, easy to assemble, and most important of all is sterilized to maintain a good health. It is accompanied with a detailed Enema Instruction Booklet to make your practice easy, successful and satisfactory. You don't have to be an expert at it and is suitable for home. 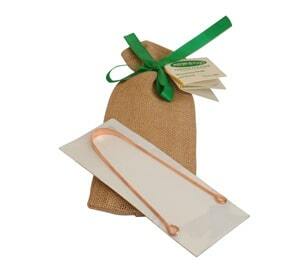 The Parts of this kit can be easily replaced and available separately in the market. 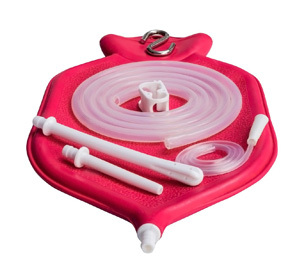 All the above qualities if this Enema kit makes it the single most technique which is most effective in keeping the colon flushed and body detoxified - Totally Unassisted!! My order was received very quickly & in good order. The kit works easily & very well as it is simple to set up. I emailed them as I had a couple of questions & their follow up service was fast & courteous. I will be buying more of their products in the future. The bucket is a great item. However the extra hose (did not want the silicone) I bought had a hole in it and I had to cut it. I really did not want to make it shorter. 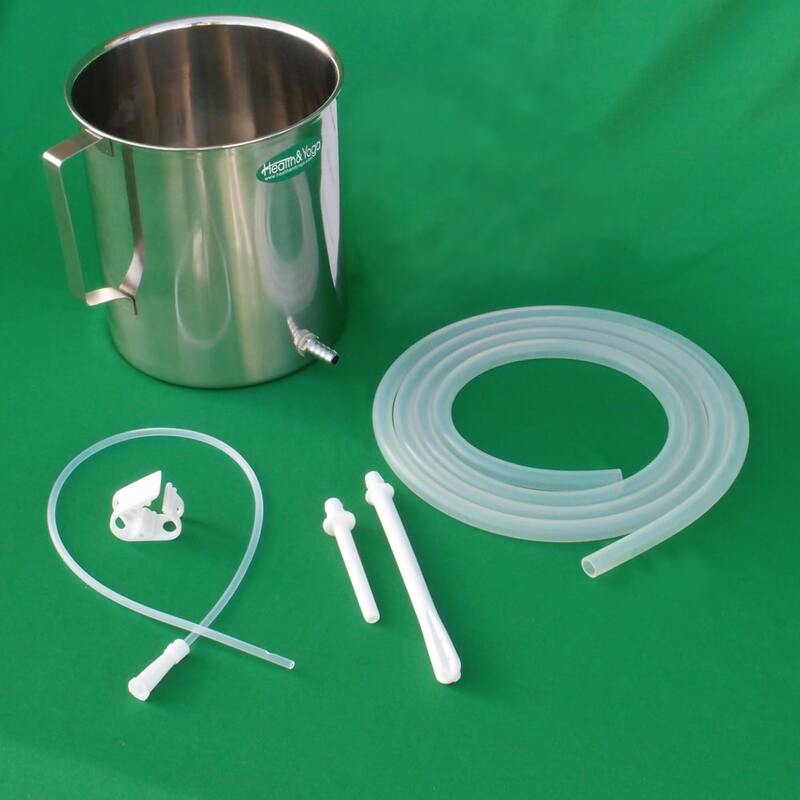 On 1-15-16 I ordered the stainless steel enema kit with silicone tubing which I received. But I also ordered the tubing recommended for coffee enemas which I did not receive. My Invoice total was $55.01 but I paid with Visa $57.44. Is there a tubing that you still need to send me? First, let me say thank you for the link that you provided to allow me to resume my order after it didn`t `take` the first time. It was very helpful. Delivery was fast, I think it arrived in 4 days. The unit/components are highest quality. Easy to set up, use, and clean afterwards. The included usage pamphlet was helpful and the canvas storage bag is excellent and discreet. Thanks for your excellent product and support. The service was extremely good. I have made a few purchases from this site, and not once have I had any reason to complain. 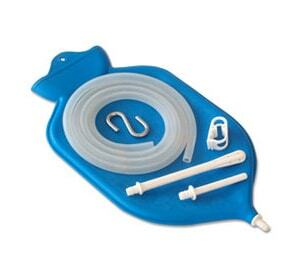 The enema kit was as described, as was the Neti pot which I have purchased in the past. We have now switched to using Herbodent toothpaste, and I use the Satvik Dhoop every other day. All purchased from here. Everything came in good order and delivery time was reasonable. I will recommend your site and or product with no hesitation. Great product and fast shipment! I`m very happy with the product and the delivery! Great service, very satisfied with products. There parts of this product I love, and one aspect that I think will be a problem in the future. very happy with service and product. I had to send it back due to not needing it . But it really was a good looking item. Thank you so sorry i didn`t reply before i got my order in good condition i haven`t used yet but looks good. I will let you know about my eperience. Your service and delivery was prompt. Quicker than I had expected. Your concern and care for receiving my products exceeded other online services I have interacted with. We have not used the products yet but am happy to know if I have any problems I can contact you. thanks. 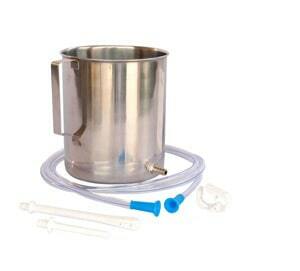 I have recieved the product...the metal enema buckets ...for use in the gerson therapy. I was aware that the expected delivery day was 15 days, but I really did not "expect" it to take the full 15 days. I do a fair amount of on-line purchasing and none of the merchants ever had more than 7 days of delivery time. Other than this, I got what I wanted. How can Enemas help me?